Michael loves nothing better than a good conspiracy served with a side of paranormal investigation. The Scariest of Children's Characters? The 1980s were great for many many reasons. The music, the fashion (well, maybe...) and the TV programs left us with many iconic sights and sounds. In the United Kingdom, children's TV shows in the 80's really began to hit their stride too, with greats such Tizwaz , Why Don't You? and Chorlton and the Wheelies! But the good intentions of the creators of some of these TV shows occasionally went astray, creating terrifying monsters that haunted our sleepless nights. Nightmare creatures that some of us still find traumatic to this very day. Mr. Noseybonk is one such creation. Until recently it has been difficult to obtain information on this freak of nature, but as he is re-entering our lives, I feel it is time to warn everyone out there about this threat to their sanity. Mr. Noseybonk was introduced to a terrified generation of children (many of whom developed an uncanny knack of bed-wetting) via an innocent TV show called Jigsaw, which ran from 1979 until 1984, although the character, who was played by Adrian Headley wearing a dinner suit and a hideous white mask, didn't appear until later. Episodes would often see him giving clues via a mimed sketch (he was very, very silent, adding to the terror) to a weekly mystery word. This was after all an educational children's show! Although Mr. Noseybonk was silent, he was always accompanied by a hauntingly repetitive theme tune. Whilst listened to in isolation, it may sound innocent enough, when combined with the actions of this demonic manifestation it seemed to magnify his malevolence (Mmmn, not a bad turn of phrase)! What made him so scary? The cold, uncaring staring eyes, the unflinching facial expression, the uncanny ability to always stay 2 steps ahead of people giving chase, or just his phallus for a nose. Perhaps it was no one thing that made this character so terrifying to so many children, but a combination, that concoction of all things that created this perfect nightmare stalking terminator. But as suddenly as he arrived, the show was discontinued and he disappeared from our collective subconsciousness. Perhaps we all had a mental block? Perhaps the thought of him returning was just too much for our fragile little minds to consider? Whatever the reasons, he did indeed disappear from our memories, the bed wetting stopped (for many of us) and we tried to rebuild our lives as best we could without the night terrors. Perhaps, just like Freddie Kruger, he could only get to us if we remembered him. And this brings us to the present day. Jigsaw may be no more, but Mr. Noseybonk has indeed returned in a series of short internet sketches, some of which are presented here for your viewing (dis...) pleasure. These new sketches are of course parodies of the original ones shown further up the page. They are however, no less terrifying. He is firmly established once again in our nightmares. It's time to dust off the ol' rubber bed sheets and sleep with the light on again. I remember this! A truly kind hearted little chap looking quite the thing in conductor chic evening wear. Another one from the 70's that was fantastic was Ludvig, a surreal cartoon of a mechanical egg. If you haven't seen it I can highly recommend it! Good article although you cite three 70's programmes tin order to say that 80's programmes were great. Tiswas was from 1974, Why don't you was 1973 and Chorlton and the wheelies was 1976! The 70's were great as well lol! God I forgot about this. I used to find him scary as well. I remember thinking I could see him lurking everywhere on my way home from school. 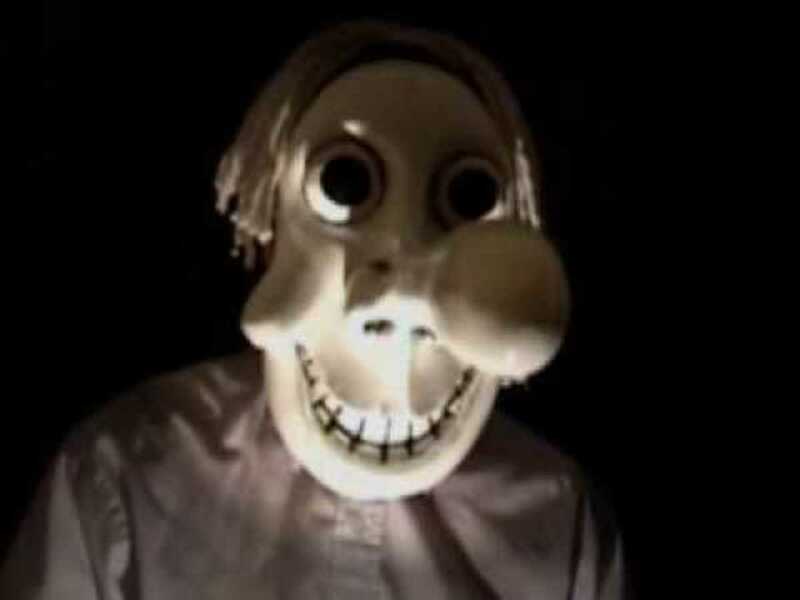 The character itself is disturbing and I can definitely see him in either a serial killer flick or in the dark fantasies of overtly imaginative children sensitive to anatomic monstrosities... but other than that, there's nothing disturbing about the show or Noseybonk's presence on it. Unless he is place in a consciously designed disturbing environment, I think most people are just overtly delicate when remembering this nosey thing. Thanks so much for reading and commenting, I am glad you liked it ! Well, I may never sleep again. Never encountered this figure before, but I won't be able to shake that tune out of my head. 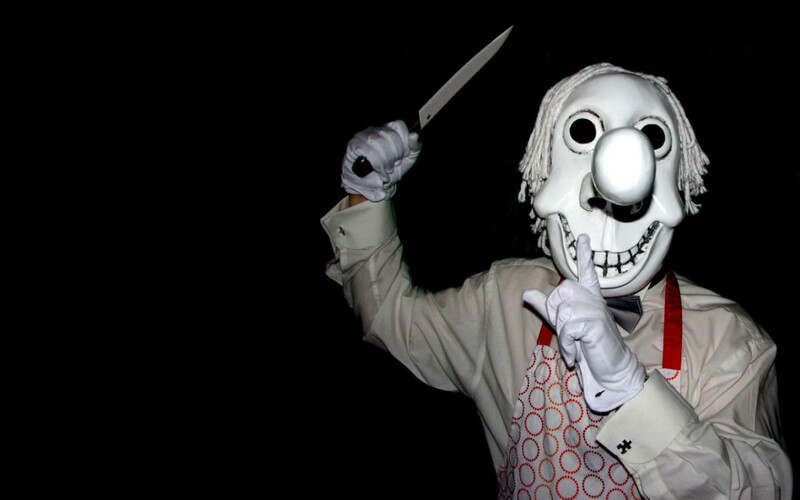 And when I saw that third parody video was named Jigsaw, I couldn't help but think that Noseybonk is just what the SAW franchise needs to up the fear factor. (And for some reason, that OK/thumbs up gesture really is chilling.) What weird fun!